The Vogel Family orchard reports that Loring peaches are nearly finished, as well as nearing the end of the Red Globe and Majestic, Ruston Reds are at mid-harvest, and the Dixilands are just beginning. They expect to start picking a few Redskins later this week as well. 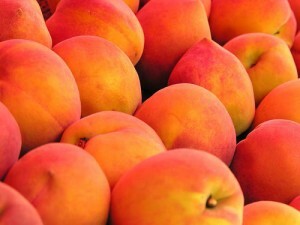 As has been the case throughout the season, the peaches continue to run at least 10 days ahead of a normal ripening schedule. The Vogels are also harvesting and/or getting some great local seedless watermelons, cantaloupes, tomatoes, squash, and okra. However, the blackberries and plums are finished for the season.